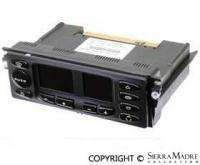 A/C and heater switch assembly for 996 and Boxster models (2003-2005). Please verify the number off the old unit before ordering. 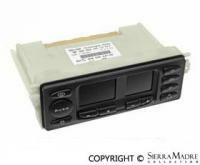 A/C and heater switch assembly for 996 and Boxster models (1997-2001). Please verify the number off the old unit before ordering. 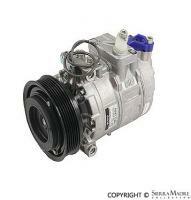 A/C Compressor with Clutch for 911 (2009-2012), Boxster (2009-2012) and Cayman (2009-2012) models. 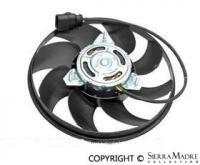 A/C Condenser for 911 Anniversary Edition (2014), 911 Carrera (2012-2015), 911 Carrera 4 (2013-2015), 911 Carrera 4S (2013-2015), 911 Carrera S (2012-2015), 911 GT3 (2014-2015), 911 Targa 4 (2014-2015), 911 Targa 4S (2014-2015), 911 Turbo (2014-2015), 911 Turbo S (2014-2015), Boxster (2013-2015) and Cayman (2014-2015) models. 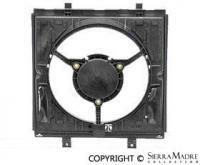 A/C condenser for Boxster and 996 models (1997-2005). Two required. 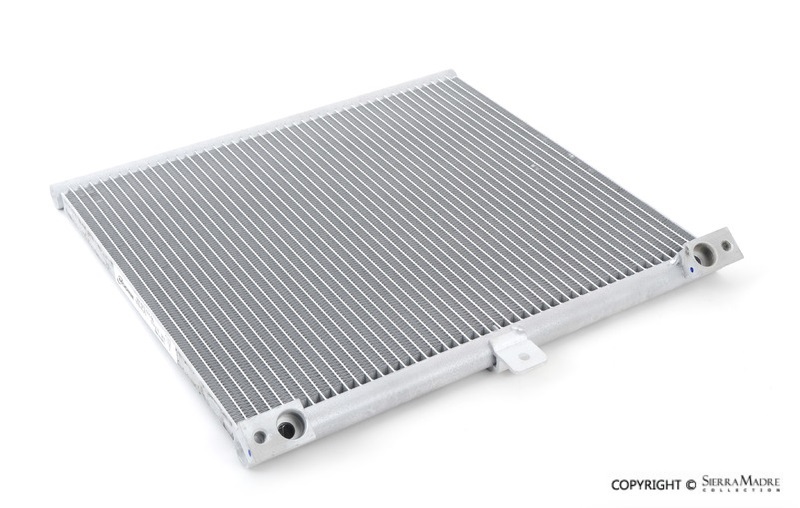 A/C condenser for Boxster, 997 and Cayman models (2005-2012). Two required. 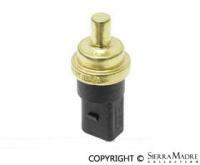 A/C evaporator housing temperature switch for 996, 997, Boxster and Cayman models (1997-2009). 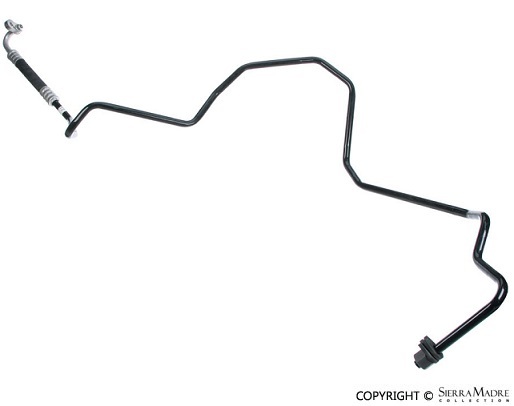 A/C Hose for your Boxster or Boxster S (1997-2001). 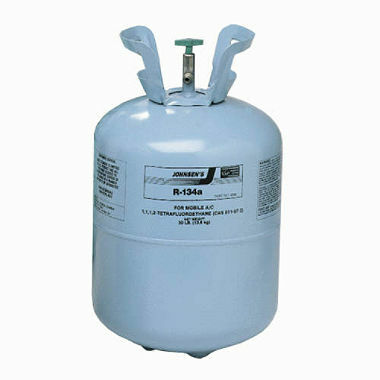 Compressor to condenser. 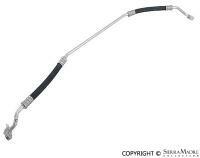 A/C hose for your Boxster or Boxster S. Receiver/drier line to condensor. For your 911, Boxster or Cayman. 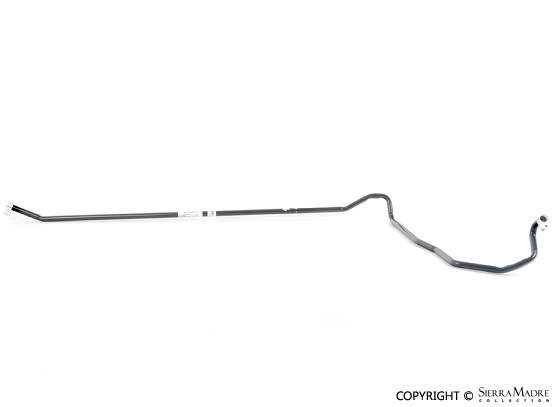 A/C Pipe for your 911 or Boxster. Receiver/drier line to expansion valve (right). 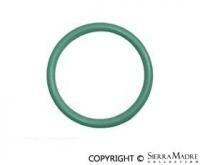 A/C serpentine v belt for 911 and Boxster models (6K x 2115mm). 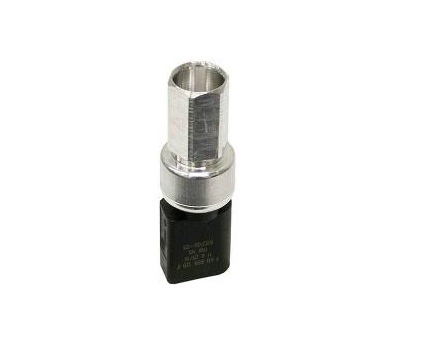 High side pressure A/C service valve cap for Boxster, 996, 997 and Cayman models (1997-2012). 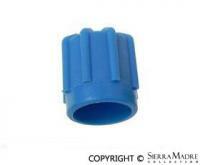 Low side suction A/C service valve cap for Boxster, 996, 997 and Cayman models (1997-2012). 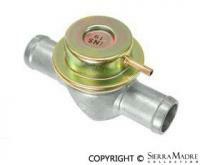 High side pressure A/C service valve for Boxster, 996, 997 and Cayman models (1997-2012). 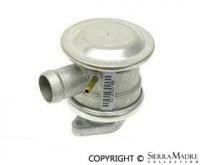 Low side suction A/C service valve for Boxster, 996, 997 and Cayman models (1997-2012). 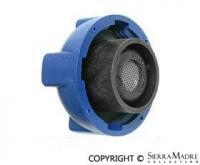 This is a high efficiency, serviceable filter designed to last the life of the vehicle. 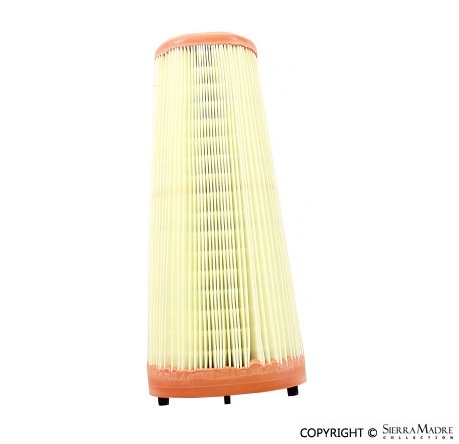 A filter service kit with instructions is also available, #WA250-500. 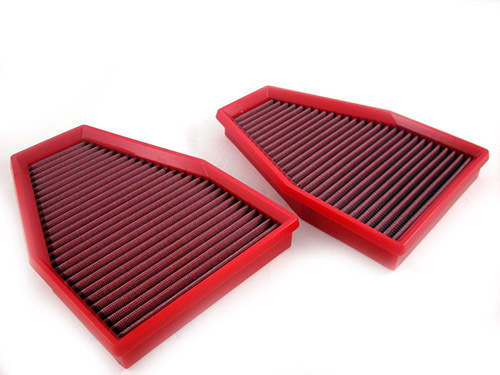 Air filter for Boxster (2013-2016) and Cayman (2014-2016) models. 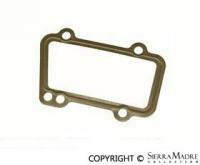 Air injection cut off valve console gasket for 996 and Boxster models (2000-2005). 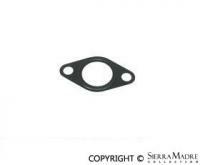 Air injection cut off valve gasket for 996, Cayenne and Boxster models (2000-2006). 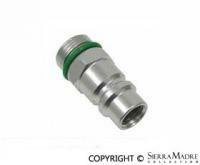 Air injection cut off valve for 996 and Boxster models (2000-2005). 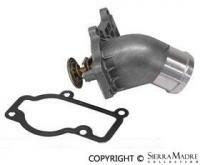 Air pump for Boxster and 996 models (2000-2005). 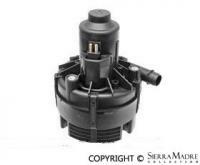 Air pump for Boxster models (1997-1999). 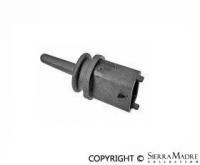 Air temperature sensor for intake manifold for 996 and Boxster models (1997-2005). 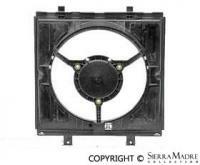 Auxiliary fan frame for 996 and Boxster models (1997-2005). Two required. Left auxiliary fan frame for Boxster, 997 and Cayman models (2005-2012). 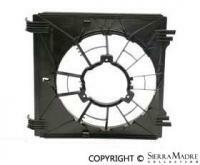 Right auxiliary fan frame for Boxster, 997 and Cayman models (2005-2012). 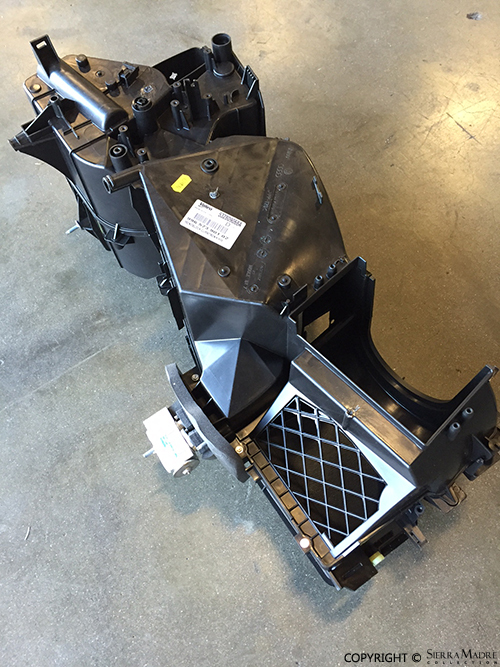 Auxiliary Fan for Cayman GTS (2015-2016) and Cayman S (2014-2016) models. Left auxiliary fan for Boxster, 997 and Cayman models (2005-2012). 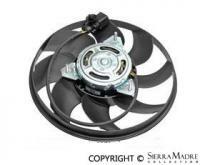 Right auxiliary fan for Boxster, 997 and Cayman models (2005-2012). Expansion tank for your Boxster, Boxster S and Boxster S Special Edition. 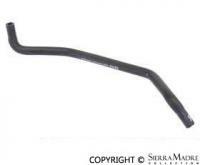 Left radiator breather hose for 996 and Boxster models (1997-2005). 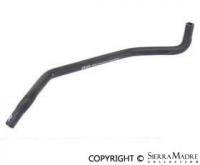 Right radiator breather hose for 996 and Boxster models (1997-2005). 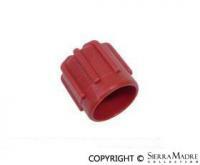 Coolant drain plug on oil pump housing for 996/997 (1999-2008) and Boxster (1997-2004) models. 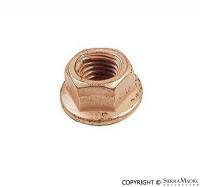 Measures 10mm x 1mm. 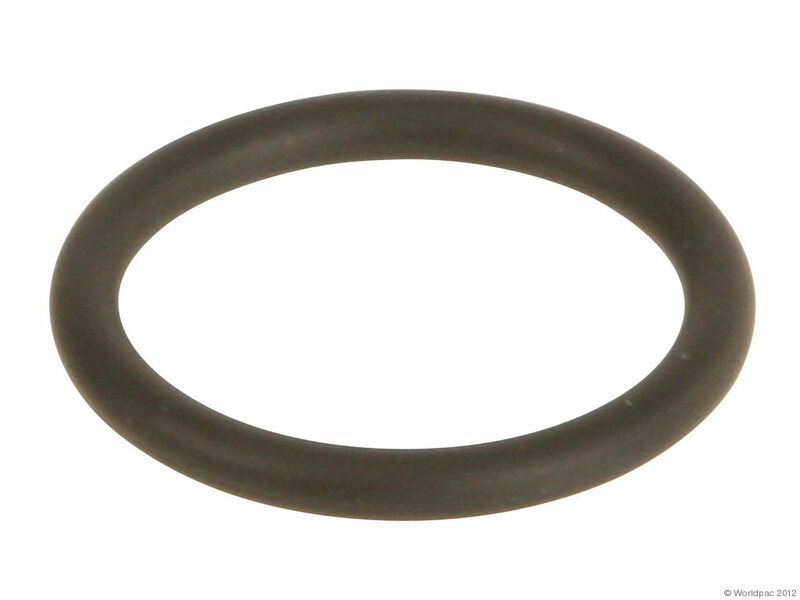 Coolant expansion tank cap for 996, 997, Boxster and Cayman models (1997-2012) . 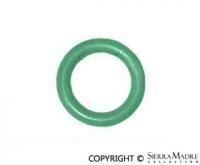 Lower coolant hose flange seal from oil pump housing to water pump flange. Fits 996 and Boxster models (1997-2004). 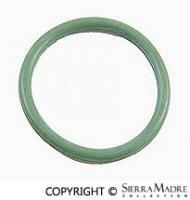 Upper coolant hose flange seal from oil pump housing to water pump flange. Fits 996 and Boxster models (1997-2004). 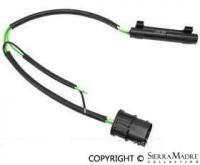 Coolant level sensor for 996, 997, Boxster models (1997-2008). 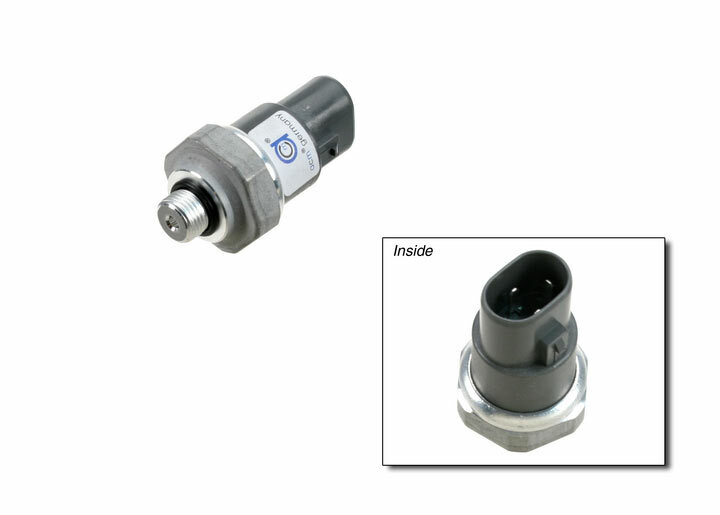 Coolant Level Sensor, Boxster (2005-2011) and Cayman (2006-2012) models. 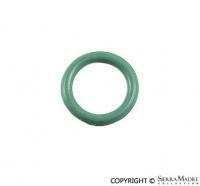 Coolant Pipe O-Ring - Pipe to Thermostat Housing, 22 X 3 mm, for 911 (2009-12), 911 Turbo/GT2 (2010-2013), Boxster (2009-2011), Cayman (2009-2012) and Cayenne (2003-2006) models. 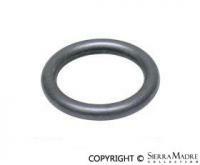 Coolant temperature sensor o-ring for Boxster and Cayman models (2005-2008). 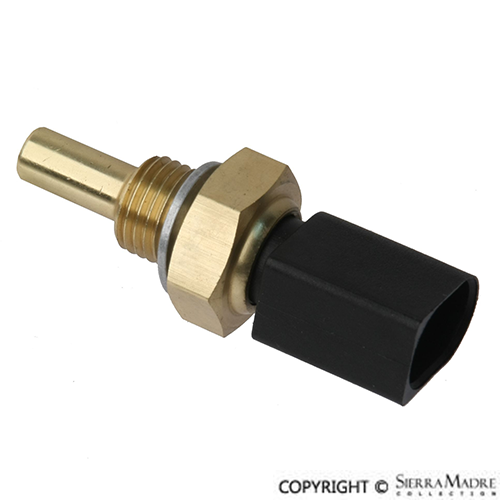 Temperature sensor for 996/997 (2000-2011), Boxster (2000-2004) and Cayenne (2003-2006) models. 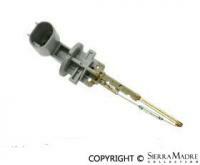 Coolant temperature sensor for 996 and Boxster models (1997-2000). 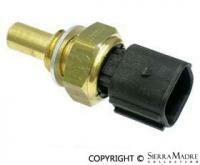 Coolant temperature sensor for Boxster and Cayman models (2005-2008). 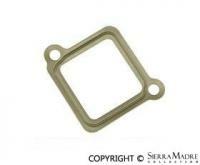 Coolant thermostat with cover and gasket for Boxster and Cayman models (1997-2008). This is the 71 degree C. temperature version. 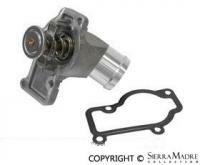 Coolant thermostat with cover and gasket for Boxster and Cayman models (1997-2008). This is the OE 83 degree C. temperature version. 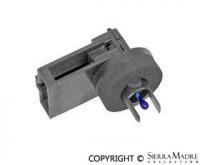 Series resistor for auxiliary fan for 996 and Boxster models (1997-2004). Two required. 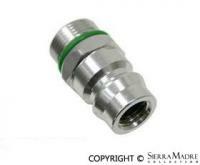 Tester adapter for pressure testing the cooling system. 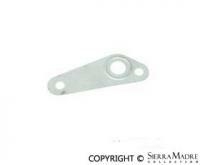 Features a three tab adapter that attaches to the coolant filler port. For all Boxster and Cayman models. Dual Tip polished stainless steel Sport muffler. DREAM 1, Dual Radius Exhaust Accumulator Model 1, is a simple and less costly way to improve performance in your Boxster or Cayman models (2005-2010). 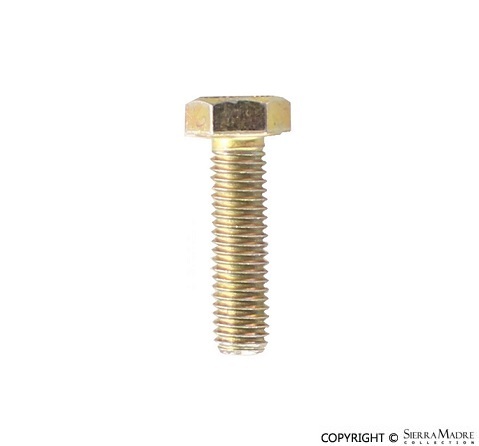 Exhaust bolt for manifold to catalyst. 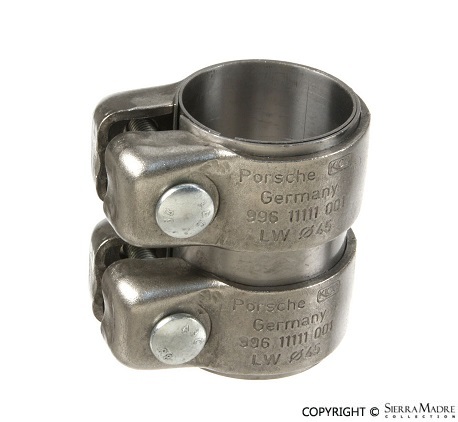 Fits 996 and Boxster (1999-2005) models. 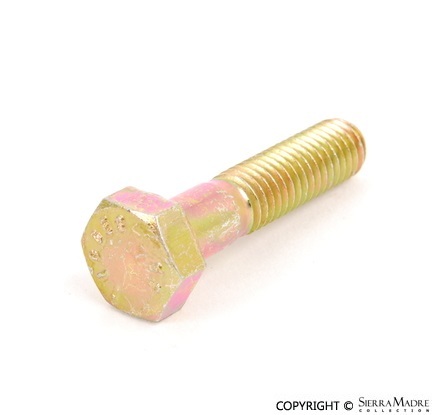 Exhaust bolt for manifold to main catalyst. Fits 997, Boxster and Cayman (2005-2008) models. 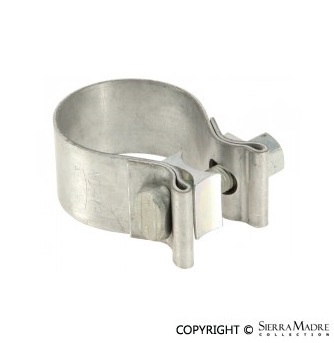 Exhaust clamp, catalyst to muffler inlet pipe, for Boxster (1997-1999) models. Exhaust Clamp, Inlet Pipe to Muffler, for Boxster (1997-2004) models. 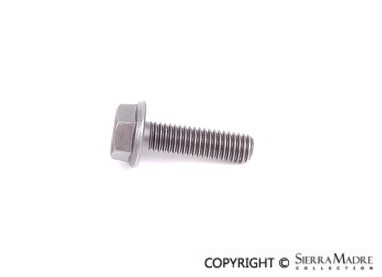 Exhaust manifold bolt for 911 (1998-2011) and Boxster (1997-2004) models. 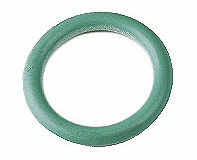 Measures 8mm x 28mm. 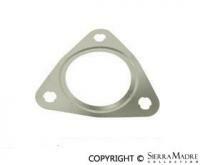 Exhaust manifold gasket from manifold to catalytic converter for Boxster, 997 and Cayman models (2005-2008). Two required. 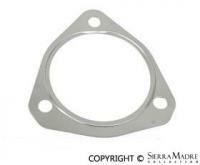 Exhaust manifold gasket for your 911, Carrera 2/4/4S, Boxster S/Spec Ed. 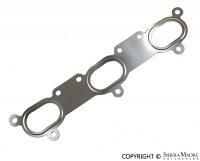 Exhaust manifold gasket from manifold to head for Boxster, 996, 997 and Cayman models (1997-2008). Two required. 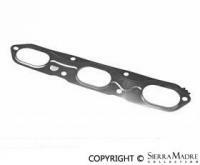 Exhaust manifold gasket from manifold to catalytic converter for Boxster models (1997-1999). Two required. 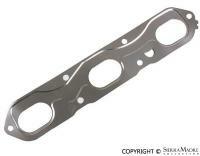 Exhaust manifold gasket for 996, GT2 and GT3 models. Exhaust Manifold with Catalytic Converter, Left, for Boxster (2000-2004) models. 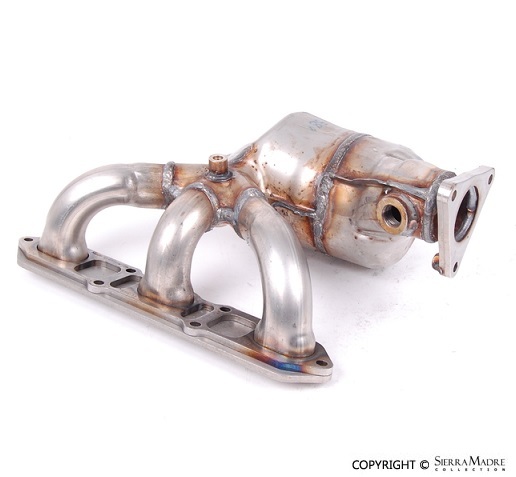 Exhaust Manifold with Catalytic Converter, Right, for Boxster (2000-2004) models.